On 6th January, through the good office of South-West CDC, families from Loving Heart Free Tuition Programme and Food Gift Programme were invited to join South-West CDC Transformer Run at Sentosa Island, Palawan Beach. The Guest-of-Honour was Ms Grace Fu, Minister for Culture, Community and Youth, hosted by Ms Low Yen Ling, Mayor of South West District. Beneficiaries took part in a non-competitive 5km Transformer Run/Walk. Each participant received a race pack which comprised of a race t-shirt, water bottle, drawstring bag, wristband and race medal. The cost of food and transportation was fully borne by South West CDC’s sponsors. Another avid supporter is the staff and students of Hong Kah Secondary School. On 23 February 2018, they delivered 30 personally gift-wrapped food hampers for deserving families to bring festive cheer during the Lunar New Year period. We are grateful to have received donations from the school for several years on this festive season. 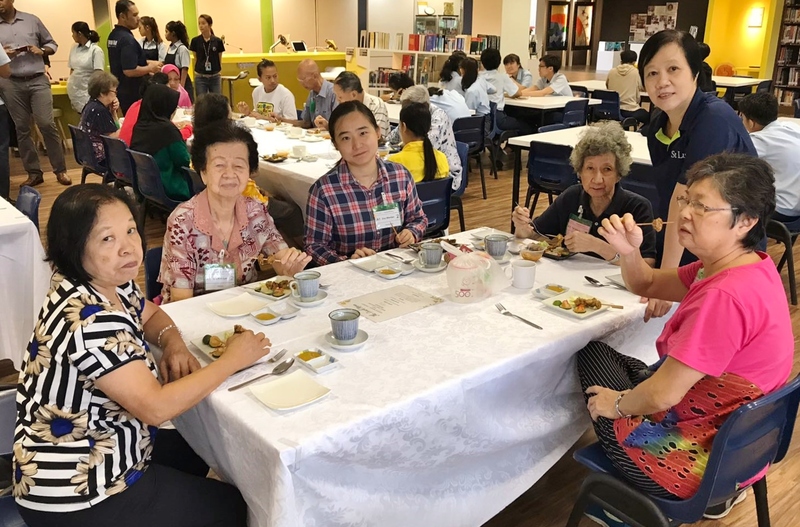 Hong Kah Secondary School invited 15 elderlies from Loving Heart to enjoy a 3-course set lunch on 8th March in their school. The menu was planned and prepared by students for their Molecular Gastronomy Module. The western halal menu consists of tomato soup with Tom Yum asan appetizer followed by Tempura Button Mushroom as starters, Salmon Papillote (Fish baked in pouch) served with Sauteed Seasonal Vegetables, Roasted Herb Baby Potatoes drizzled with Lemon Caper Sauce, infused with premium white grape juice for the Main Cpirse and ended off with Red Velvet Cupcakes with Tiramisu. 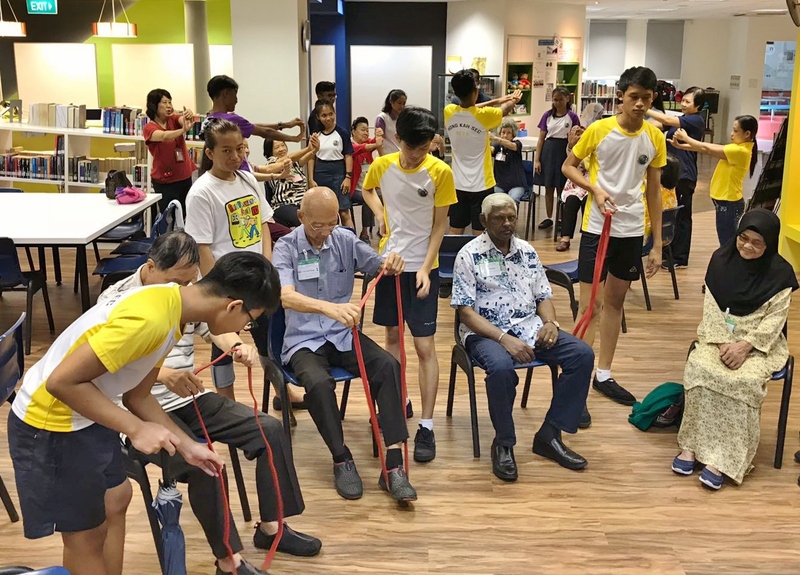 In addition to this year's lunch, the school has also prepared activities such as chair-based exercise with elastic bands and air-pumped bottle rockets for the elderly to participate. 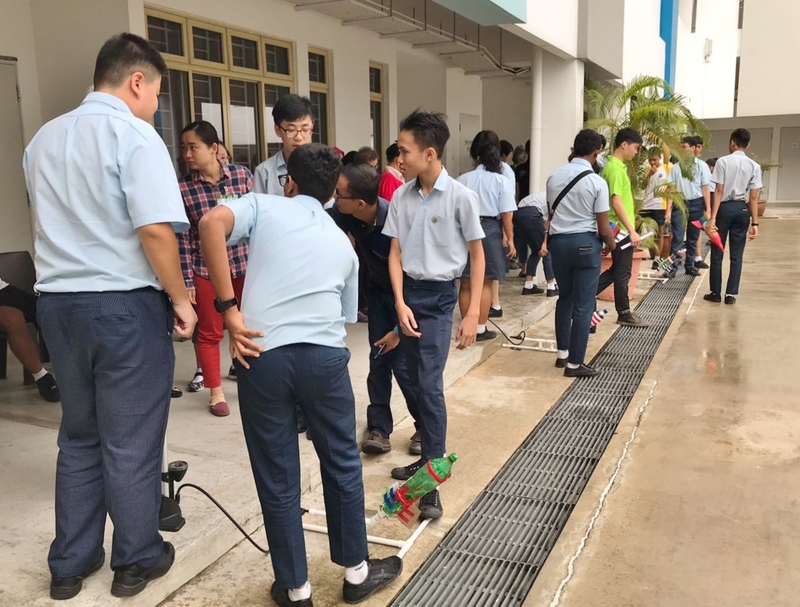 On 23rd & 24th November 2018, Students from Nanyang Polytechnic's EGellence Club inited 20 of our Free Tuition student beneficiaries to an Everyday Science Event. The students were given oppurtunities to learn and conduct differenct science experiments such as making yogurt out of expired milk (not consumed) and growing colored flowers by letting it absorb colored water. The children enjoyed the activities and they were able to bring back their flowers at the end of the event. Food and transport were provided by the club's students. 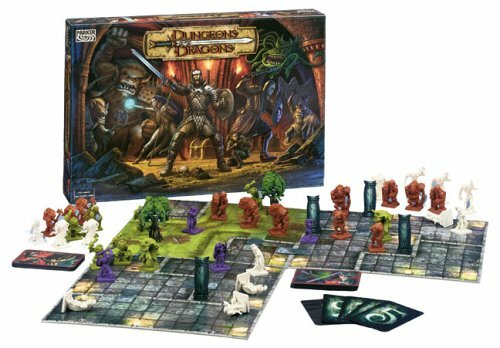 From 24th November to 22nd December, Mr Gerry Ong conducted weekly games of Dungeon and Dragons with our Free Tuition students on weekly Saturdays. The students had oppurtunity to learn from one another and improve their conversational English skills. The constant writing and reading required players to improve their composition & comprehension skills. The Free Tuition students enjoyed the session thoroughly and learned English from their syllabus in a contemporary manner. Through the kind and generous sponsorship from a group of donors, 45 students from the Free Tuition Programme were engaged in fun and games through friendly competition among their peers during the Fiesta. Through the leadership and imitative of the volunteer Tutors, Free Tuition students were engaged in various games and displayed great teamwork and respect as they competed with their peers to win Popular vouchers. Students also had the opportunity to engage in barbequing. Each student received goodie bag consisting of stationery and $20 Popular voucher. Aside from the sponsorship received from our donors, Loving Heart would also like to take this opportunity to thank Jurong-Clementi Town Council for providing free usage of the Covered Activity Plaza, Resident Committee Zone E for free usage of the BBQ pits and lastly, our volunteers for making this event possible!